ONE-FIFTH OF A SECOND … That’s all it takes for Far-UV Sterilray™ to eliminate 99.98% of the world’s most harmful bacteria in a 500 cfm (cubic feet per minute) airstream. 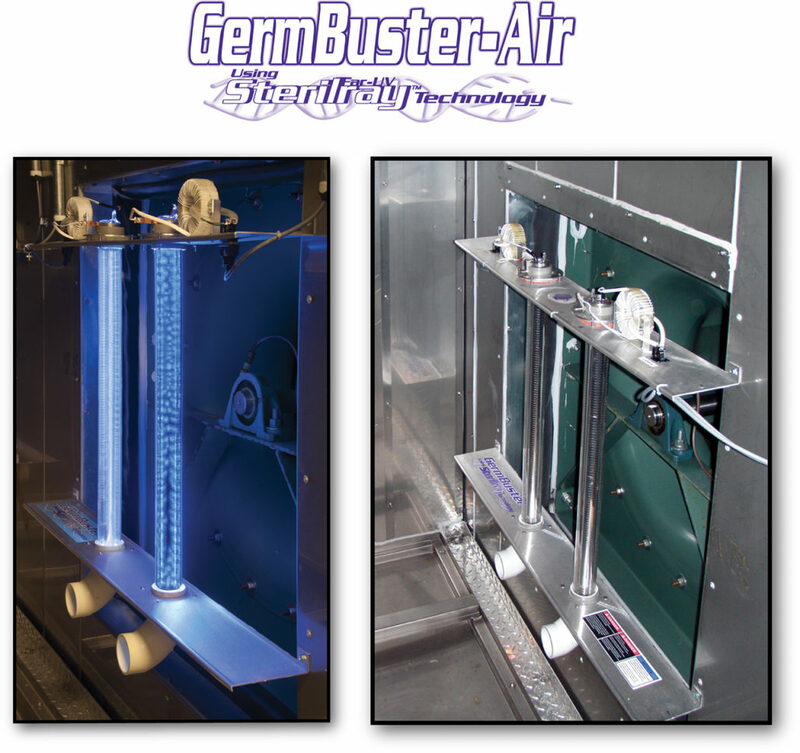 With unmatched speed, convenience, and effectiveness, the GermBuster-Air is changing the world of HVAC air handling installations through its groundbreaking use of Far-UV Sterilray™ technology. MOST UV PRODUCTS DEACTIVATE PATHOGENS…FAR-UV DESTROYS PATHOGENS. The secret is a patented technology that uses Far-UV, a wavelength high in photon energy that is up to 1,000 times more effective than germicidal UV-C technology. Far-UV Sterilray™ technology destroys rather than alters the DNA of pathogens. 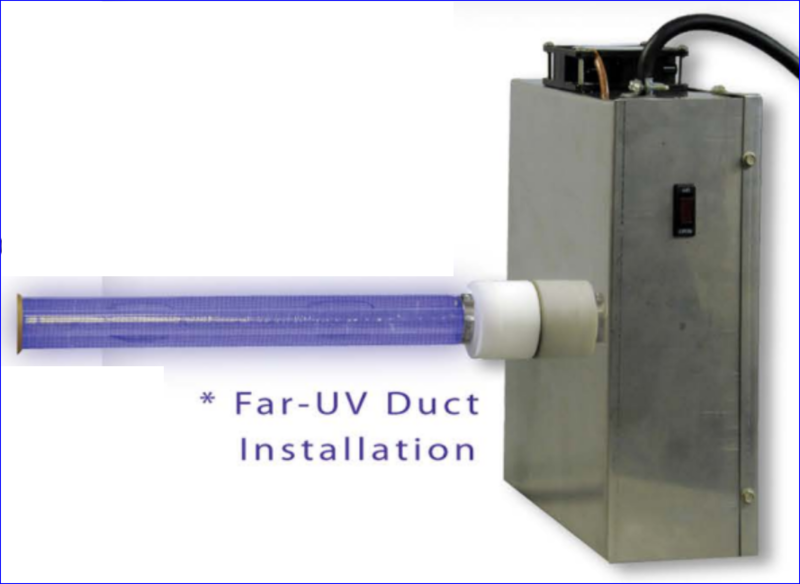 These Far-UV Sterilray™ Lamps have been engineered so as not to produce ozone. One Far-UV lamp replaces up to 20 UV-C bulbs and treats 2500 cfm. Rugged construction withstands harsh HVAC environments. GBA is not affected by temperature or humidity. There are no electrodes to wear out. The power level is adjustable. The lamp does not contain mercury or other dangerous materials. GBA clears HVAC coils of mold and all other bio-growth. GBA reduces wear and tear, extends the life of HVAC systems. Kills microbes On The Fly in less than 0.2 seconds of exposure. Disinfects outside makeup air on first pass. Kills any bacteria picked up in all air returns. Should be located in the center of a straight 3-foot section. Eliminates mold and yeast on evaporator coils, grid, floor, and blowers. Produces the same benefits as air duct installation above. Should be located between blower intake/exhaust and evaporator coil grid. Downstream of Entrance Fans and Evaporator Coolers. Produces same benefits, requires the same installation as air duct installation above. Reduces the need for harsh cleaners and costly labor to clean coils. Provides the comfort that pathogen removal has occurred in a convenient process. Disinfects air quickly, at a very high level, with minimum effort. Reduces cost of ownership, energy costs, maintenance, and consumables. 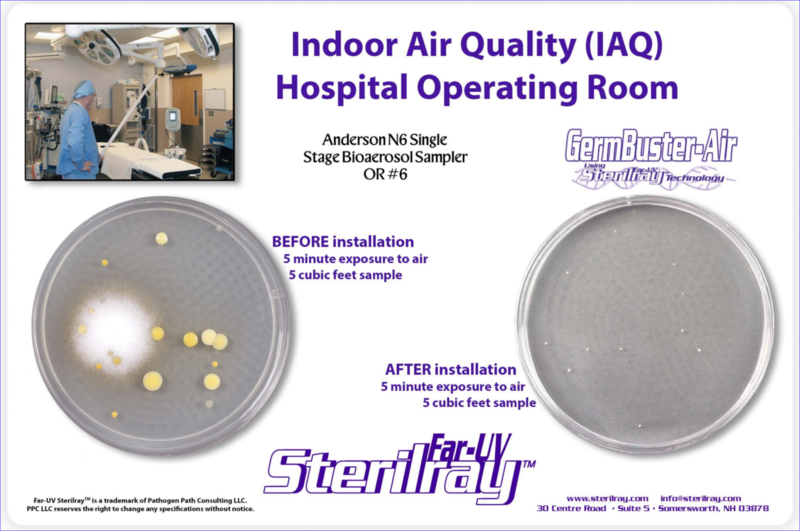 Produces better Indoor Air Quality; reduces health issues and sick days.